Can't see what you are looking for on our standard trips page? Not to worry, at Monkey Mountaineering we understand that life is often complex and free time is a premium to be used wisely. That’s exactly why we offer a bespoke service. We will work with you so that you can maximise the time you have available to have a remarkable, memorable adventure holiday. This includes changing the dates, modifying the itinerary or making the trip totally exclusive to you and your group. Contact us to find out how we can help. For those of you who can’t see what you want in amongst our standard trips we also offer a fully bespoke service. It could be sun-kissed rock climbing in Thailand, making first ascents in a remote part of Greenland or trekking in South America. You might want a fully supported expedition or just logistical support, whatever your requirements, you dream up what you want to do and we’ll help to make it happen. Contact us to find out more. How does Monkey Mountaineering’s bespoke service work? Planning bespoke adventure travel can be complex but at Monkey Mountaineering we aim to make it simple and easy for you to get the adventure you’ve been dreaming off. Once you get in touch we will discuss your aspirations and make sure we fully understand your requirements. This step starts the process, once we understand what you are looking for we will draft an itinerary and prepare a quote. As soon as we can we will provide you with a draft itinerary and a quote for you to consider. The trip is not set in stone at this point. It is important that we discuss the detail and amend the plan and quote as required. Once you are happy we can move to Step 3. Assuming that you are happy with the itinerary and quote and you agree to our terms & conditions we would take a deposit as outlined in the quote before providing you with a booking confirmation. It couldn’t be easier, so why not contact us and find out how we can help turn your dreams into reality. What’s included in bespoke trips? This really depends on your requirements – everything that’s included (and not included) will be specified in your quote and itinerary. Listed below are elements that we would look to provide as standard, based on your requirements. The list is not exhaustive so please get in touch if you have specific requirements. Accommodation – before, during and after your adventure. This can range from basic through to luxury depending on your requirements and budget. 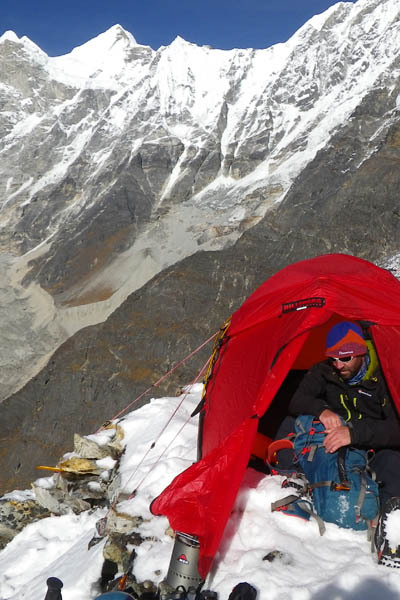 Food – we normally provide breakfast with any accommodation before and after your adventure. During the adventure we will normally provide all meals. All dietary requirements can be catered for so long as you have made us aware of your needs in advance. Travel – all travel requirements to make your adventure work are normally included and these will be specified on your itinerary and quote. We do not include international travel but can provide airport pick up and drop offs. Full guiding and support services – we will provide a dedicated guide and support team where appropriate. Equipment – Monkey Mountaineering can support your adventure with a full range of equipment from tents through to technical climbing gear and communications equipment to support your adventure. 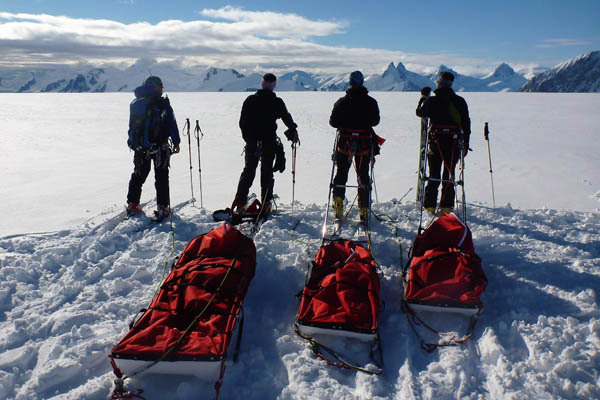 Medical Support – for remote and/or long duration adventures we can also provide medical support if required.